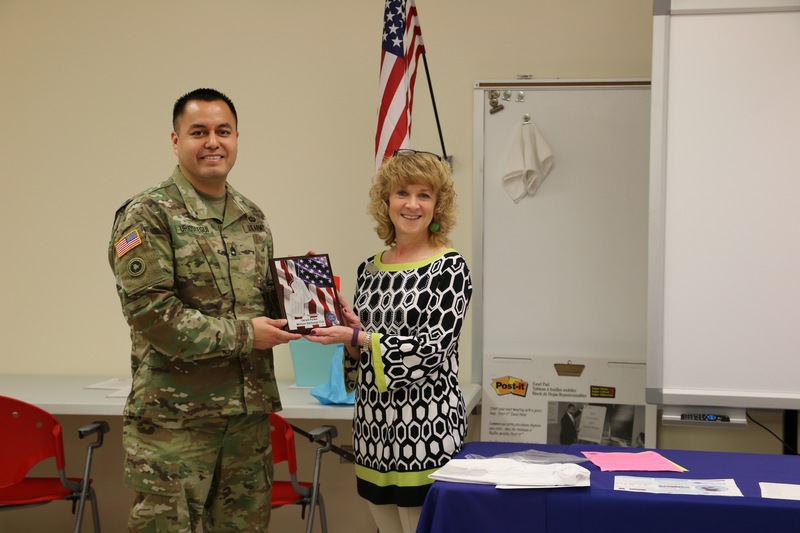 The Round Lake Area Exchange Club and sponsor Gerald Parker of the Mattoon Exchange Club, are proud to announce the February Hometown Hero, U.S. Army Sergeant First Class Miguel Uriostegui of Elgin. Uriostegui is currently serving as a recruiter in Round Lake Beach. 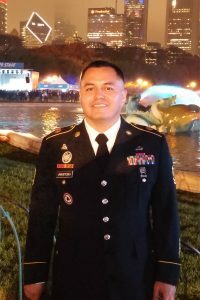 Uriostegui earned a Bachelor’s Degree from the University of Phoenix and possesses several honors including, the Bronze Star Medal, Army Commendation Medal, Afghanistan Campaign Medal, NATO Medal, Good Conduct Medal and the Parachute Badge. 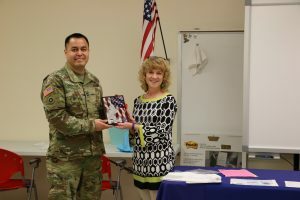 With the generous support of this month’s sponsor Gerald Parker of the Mattoon Exchange Club, Uriostegui’s “Hanging with the Heroes” care package will include gift cards to his favorite restaurants, a personalized “Hanging with the Heroes” t-shirt, and letters from Round Lake Area Schools students. The Round Lake Area Exchange Club will present Uriostegui with a plaque on Wednesday, February 22, 2017, 7:30 a.m. The Round Lake Area Exchange Club meets the second and fourth Wednesday of each month at the RLAS-116 Administrative Service Center, located at 884 W Nippersink Rd, Round Lake, Illinois.